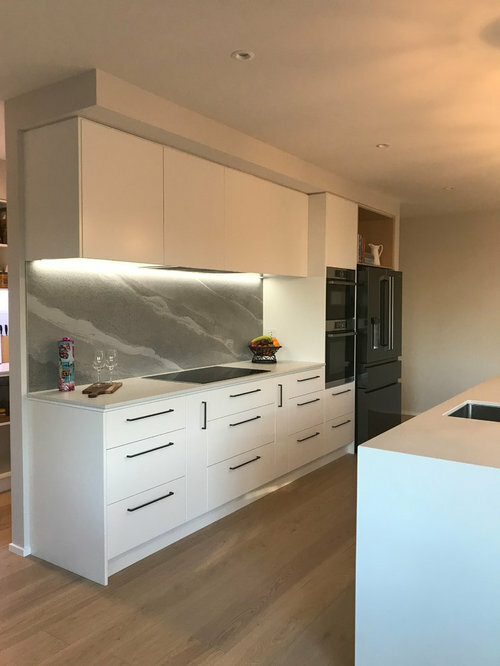 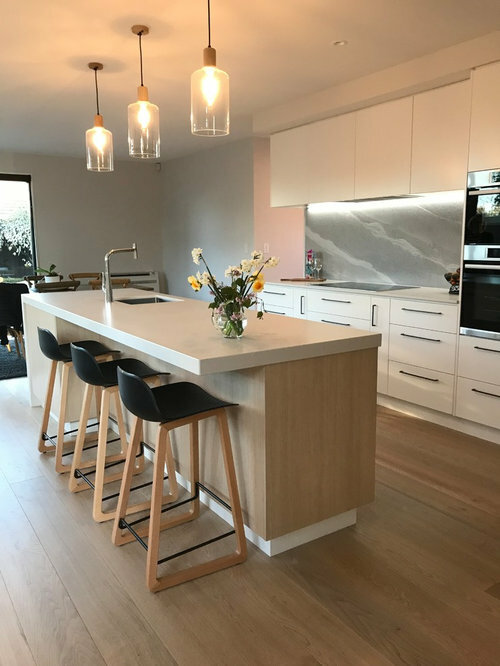 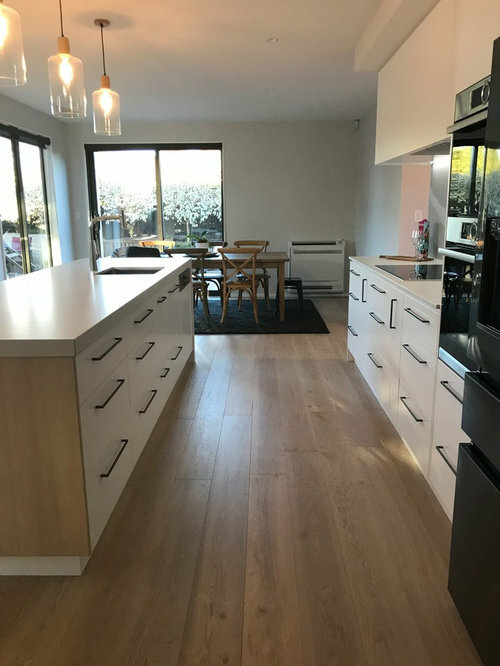 In this earthquake rebuild, our customers chose a contemporary fresh look teaming white and wood, with light coloured quartz benchtops. 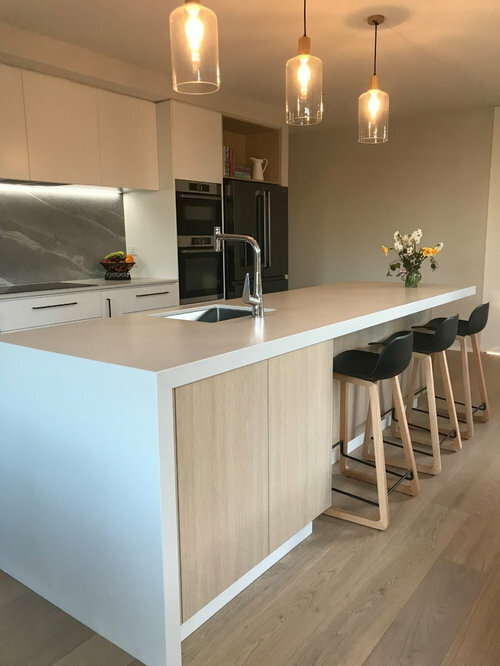 This galley kitchen is finished with Caesarstone Fresh Concrete benchtops (60mm on island with waterfall end and 20mm for hob bench) teamed with Dezignatek White Satin and Bestwood Perfect Oak cabinetry. 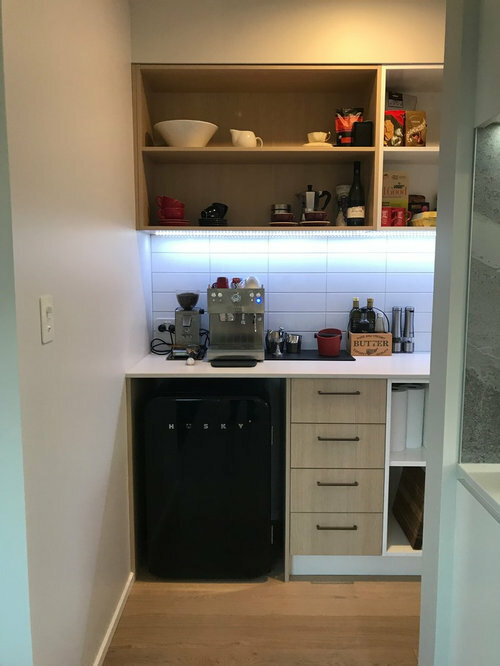 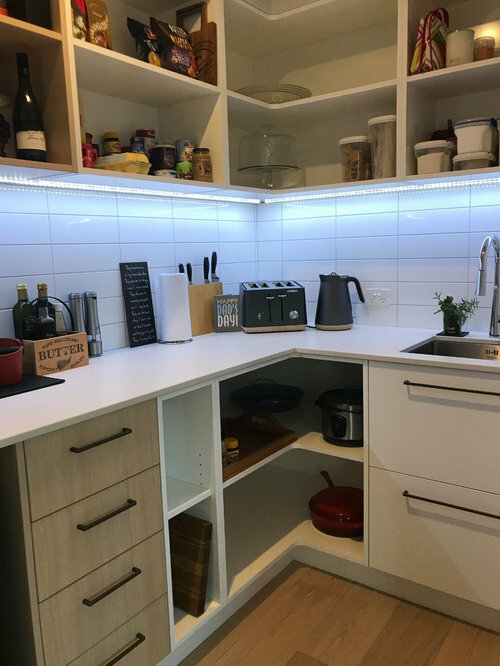 The scullery was designed with a mix of Bestwood Perfect Oak and white cabinetry, a Caeserstone Fresh Concrete benchtop, white subway tiles on the walls and LED strip lighting underneath the wall shelving.